I find it frustrating when people speak about the Pharisees as if they were just a historical example of what not to do. Yet, it is obvious that Jesus did not just consider these men to be examples of what not to do. For one thing he is often hanging around them. He goes to their houses. He eats their food. He spends time with them, answers their questions. St. Paul was a Pharisee, which is evidence that misdirected zealousness and scrupulosity can be redirected into an astounding zeal for evangelization and holiness. This is why I think it is important for faithful Christians to pay attention to the Pharisees and Jesus’ critique of their behavior. If we are going to Church, know our faith and put God first, then we are all in danger of behaving like Pharisees. In fact, we can be fairly certain that we will act like them at one time or another. If we seek to recognize when our behavior is similar to theirs, in the negative, we can strive to become a person who observes the Christian faith with the intensity and balance that Paul exemplified and Jesus encouraged. Jesus tells us to “beware of the leaven of the Pharisees” (Mk 8:15). When we behave like the Pharisees, we stir up trouble among the faithful. Often, our intentions are good. But our actions cause great unrest, an unhealthy and unholy “leavening” of the greater faithful. We can discern whether unrest is unhealthy by analyzing its fruits. If the fruit of a person’s “leaven” is often fear, anger and unrest, rather than peace, love, joy and the rest of the fruits of the Spirit, then one must beware. The Lord is not at work where the fruits of the Spirit are not present. He is particularly not at work where the fruit of a person’s actions is fear: “There is no fear in love” (Jn 4:18). When our behavior is a holy leavening, it pushes others to desire holiness, to draw closer to God and to act in charity. Jesus, help my actions and words lead others to holiness and to an experience of God and the fruits of the Spirit. There is one Gospel passage that makes me laugh out loud every time I read it. Jesus is walking through a field with his disciples on the Sabbath, and the disciples are picking wheat because they are hungry. The Pharisees (who must have been hiding in the fields!) pop up and immediately challenge Jesus because his disciples are breaking the Sabbath (Mk 2:23–24). The lengths to which the Pharisees went to find something wrong with Jesus and his followers were truly absurd. Some variation of the phrase “they were watching him” can be found over and over in the Gospels. While Jesus is busy healing, performing miracles and preaching the kingdom of God, the Pharisees’ eyes were always on him, not in order to learn from him but to find something he was doing wrong. There is rarely a comment on the Internet that is not basically, “Yes but …” We love to plow right through all the good things and narrow right in on the one part that didn’t seem quite right. We become Pharisees when we are always focused outward with an eye toward criticism. Nothing is ever good enough for a Pharisee. And nothing merits rejoicing, unless it is the downfall of others. Jesus, help me to focus on you, not like the Pharisees but like a child who wants nothing more than to imitate his or her Father. Help me see the dignity of others as you see them, and to treat others with respect and great love. We all remember the Pharisee in Scripture who stood up and prayed by saying, “I thank you God that I am not like so-and-so!” (Lk 18:11). This Pharisee genuinely believed that proper prayer involved taking credit for everything one did right. This is the danger in being close to right; we begin to take credit for it. We look at others who are doing much worse things, and assume we escaped that path because something about us makes us better. We think, My sins may be bad, but thank God they are not as bad as that person’s sins! Thank God I’m not like that loosey-goosey liberal, uptight rad trad, heretic progressive, zany charismatic, stick-in-the-mud ultra-conservative or ignorant cafeteria Catholic. Or you may even be reading this and thinking, Thank God I am not a Pharisee! The problem with this way of thinking, and it is evident in the behavior of the saints, is that true holiness focuses on what needs improvement in oneself. And if the saints could find a lot of things in need of improvement, then that is probably the same attitude we should have! Jesus, help me thank you for all the graces you have given me in my life. Help me to be a source of light for others and to be open to what others have to teach me. It is interesting to note that Jesus tells the people to submit to the authority of the Pharisees. He tells them to “Do everything they tell you” even though he warns that their example is not to be followed (Mt 23:3). When I first thought about this, I was astounded. Here is the Son of God,submitting to the authority of the Pharisees, because their earthly authority represented his Father’s authority. 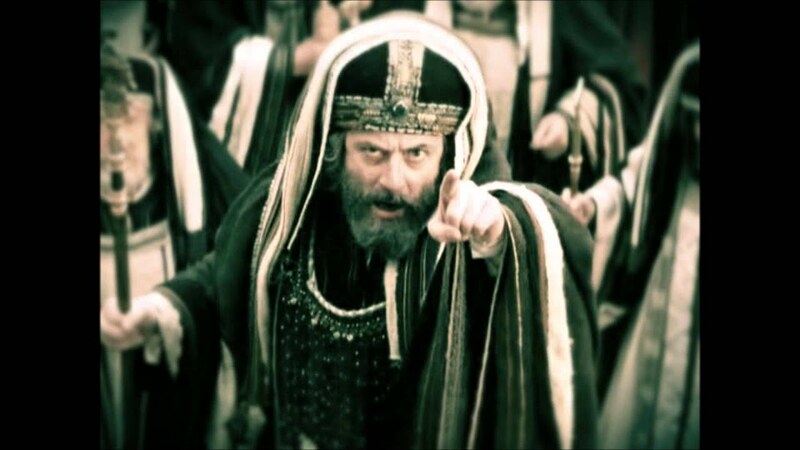 The Pharisees, on the other hand, were incensed when they saw Jesus acting with authority. Jesus demonstrated his power by showing which practices were dispensable and which were essential to the meaning of the law. In response to Jesus’ show of his divine authority, the Pharisees plot his death. Jesus recognizes legitimate authority, but the Pharisees, while they are aware of an aspect of it, are blind to the source of authority itself. As sinful human beings, we have an ambiguous relationship with authority from the start. It is hard for us to recognize the authority of God, let alone that of his mediators on earth. It’s true that healthy rebellion and questioning can be a good thing. But we abuse this truth when we disobey because we think we know better than God or when criticism of others becomes an obsession that leads us to a lifestyle of disobedience. Jesus, help me develop the virtue of obedience in my heart so that I may recognize your authority here on earth and become more gentle, docile and full of charity. In the parable of the Pharisee and the tax collector, while the Pharisee pats himself on the back, the tax collector begs God for mercy. This is an interesting dynamic. The Pharisee believes he is well and does not see himself in need of mercy. But the tax collector knows he is sick and in need of God. This inner dynamic in oneself often extends to others. If we see ourselves as in little need of mercy, we do not give mercy to others. If we know that we need copious amounts of God’s mercy, then we extend that mercy to others. Why is this? Because when we know we are in need of mercy, we reach out to God and he scoops us up in his arms. When we have experienced this absolute and unconditional love of the Father, we hesitate less in giving that same love to others. We know it, we’ve experienced it, and we are overflowing with it. Everyone’s heart grows cold sometimes like that of the Pharisee. We all have difficulty feeling compassion for certain people. When this happens, it helps to ask the Lord to help us see our own sin more clearly, not so that we can become lost in guilt, but so that we can see our own need to accept God’s mercy and extend it to others. Jesus, welcome me into your merciful heart. I want to be a beacon of mercy and love for others; help me to become more like you.